Remember that when you are in the very beginning stages of vaping, we don’t suggest picking a a mod, especially a mech mod as for you first setup because mechanical vape mods don’t have safety features you would get out of a regulated vape setup like you get on the ego batteries or other vape pens. Without the safety features build into the device, you are required to know more about Ohms Ω, Ohms Ω law, wattage and voltage, lithium ion battery dangers etc so you can stay safe while using the mechanical mods. If you don’t know anything about Ohms Ω law and are brand new to vaping we would recommend you get a vape starter kit to start your journey into the world of vaping. Then as you learn more, gain experience and need more customized vaping, that’s when you get a mechanical vape mod. There are generally 2 types of Mods categories that people can choose from. 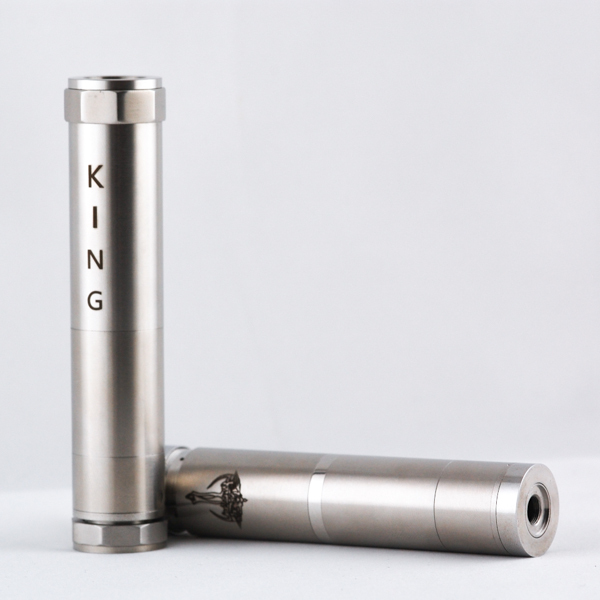 There are Regulated vape pen mods, for example, the Mini eVic, and there are Unregulated Mods like the Nemesis Mechanical Mod and King Mech Mod. Unregulated mods are also known as mechanical mods. There are some regulated devices like the ego vape pens, but there are also regulated mods like the Mini eVic. Some may prefer a regulated mod that offers such features as variable voltage (VV) or variable wattage (VW) such as the eGo Twist Vape Pen. When changing over from a regulated VV/VW mod to a Mech Mod (unregulated), you can get a better idea on the differences by imagining switching from an automatic transmission to a manual transmission. While you do have to put in some extra work, you end up having a great deal more control, if that is what you want out of a mod. What Is a Mechanical Mod Exactly? Put simply, a mechanical mod is a “bare bones” personal vaporizer. It is essentially a tube or casing that holds a rechargeable (replaceable) battery. Then somewhere on that tube it has a physical button that you can press to make a connection to the battery, which then pushes unregulated current to the atomizer coil. It doesn’t contain any fancy circuitry or any mechanism to regulate the current. It is purely a manual connection that you make by pressing a physical button. This is why its known as a “mechanical mod” and also an “unregulated mod” – it does not use circuitry to regulate the flow of electricity. It is purely mechanical by nature. Why would you want a mechanical mod? With the Mechanical Mods, in spite of the fact that you don’t get those extravagant LCD screens with a vape hit counter like most of the VV/VW Mods you see, a mechanical mod does have some distinct advantages and benefits. One of the biggest draws towards mechanical mods, aside from feel in your hand, is the inherent durability they have, due to the simplicity of the design. 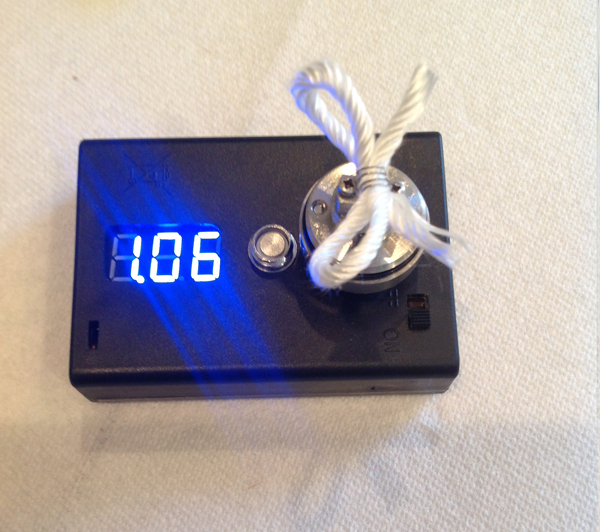 In a normal individual regulated vaporizer like an ego T or ego Twist, the vape battery can be subject to hardware issues due to the circuitry inside. Usually if something happens to a regulated device, repair is not an option for the average user. Also, the typical regulated personal vaporizers like the ego t and ego c twist are essentially a disposable vaporizer because once the battery reaches the end of its life cycle, the battery must be disposed of. Though it is probably unfair to call the egos “disposable,” all lithium ion batteries do have a point at which they cannot be recharged anymore. With that said, they do typically offer a lot of charges and can last quite a long time. So the nice thing about mechanical mods is once that lithium ion battery reaches the end of its lifecycle you can get new batteries. There is no need to throw the mod casing away. Some people will choose to get a mechanical mod solely for its capacity to use low resistance atomizers or Rebuildable Atomizer (RBA) and Rebuildable Dripping Atomizers (RDA). This is called sub-ohm vaping. 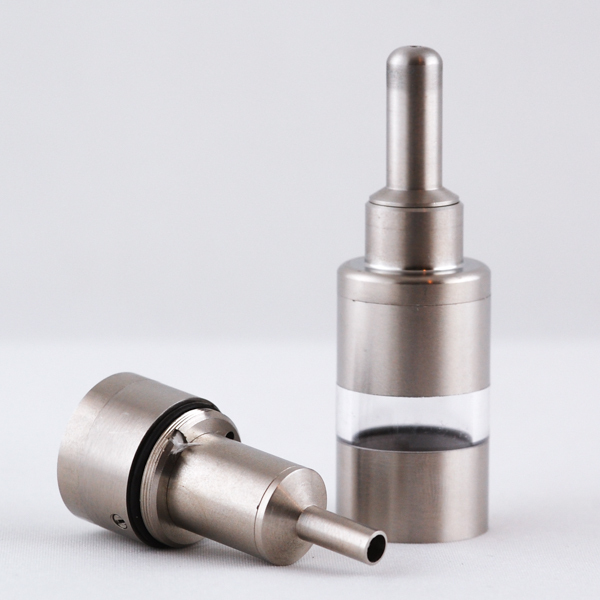 On regulated vape devices like the ego, you may not be able to vape on sub-ohm atomizers. With a mech mod, however you can create the most amazing mech mod builds with RDA’s and RBA’s combined with Kanthal Wire or NiChrome as your heating element. The most popular type of kanthal wire is 28 gauge kanthal, as its easy to work with and will provide a very universal style of Ohms Ω and for the more advanced user, 26 gauge kanthal is a great option. Though it should be noted that sub-ohm vaping can be much more dangerous and requires extra care and knowledge. Make sure you read through the Kanthal Beginners Guide and completely understand the Ohms Ω law before attempting such a build on a Mech Mod. Are mechanical mods safe to use? There is no such thing as a completely safe device that uses a lithium battery. There will always be some risks dealing with lithium ion batteries. The fact is there is a mass amount of energy stored in a little battery. There have been issues of phones and any type of lithium ion battery device you can think of exploding while charging or using. This is just the risk we as a society take with lithium ion batteries. However the risks seem to be getting less apparent as the lithium ion battery technologies get better and when you have the right Mechanical Mod Building Supplies your chances of something going wrong are much lower. So there are always risks associated with lithium ion batteries in general. Now, if we compare unregulated vaporizers like the mechanical mods to other regulated personal vaporizers like the ego-t, the regulated vaporizer devices are generally going to be much safer than mechanical mods because of the safety features that are built in to the device, namely the circuitry that protect against short circuits. 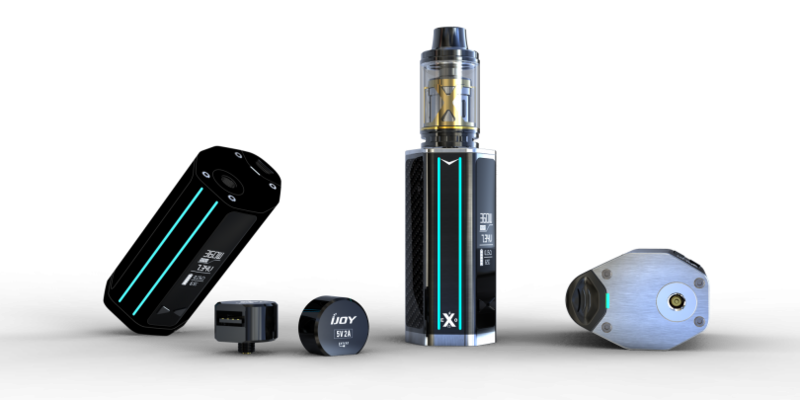 There are also some more advanced regulated devices (vape mods and vape pens) that have the short circuit safety feature along with overcharge protection that will cut the power off automatically if needed. Some even have an overcurrent protection for mods using low resistance atomizers. Mechanical mods are generally safe if the hardware is high quality and the user is very experienced. They can become dangerous if the person doesn’t know about Ohms Ω (resistance), current, etc. What are the dangers of mods? Short circuit issues can result in the batteries to release current at such a fast rate, to the point that it warms up the casing and battery itself. It can also burst into flames or, if there is no room for gasses to escape, it can even result in the mechanical mod exploding. Here are some tips that will help you have a more pleasant and safe vaping experience on your mechanical mod. A multimeter or Ohms Ω Meter is a godsend when using mechanical mods. You might be able to find one in your garage, or you can pick one up at any hardware store for under $10-15. With a multimeter, you’ll be able to measure both the battery voltage and the resistance of your atomizers / clearomizers and also discover shorts on the actual mechanical mod body. Note: Some cheaper multimeters will give the wrong resistance (Ohms Ω) because the multimeter has resistence. The way to see if your meter does is to touch the two prods together and see if that gives you a reading. If it does, then you need to minus that reading from the reading you get from your atomizers. 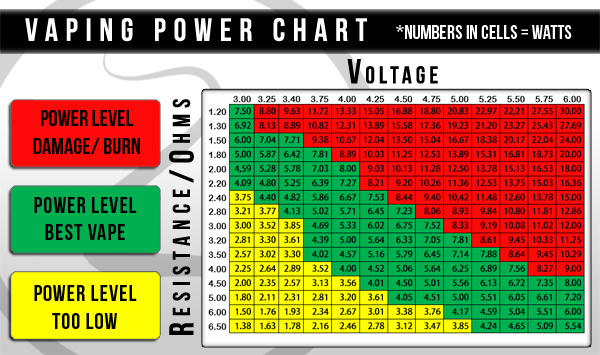 If you are using an Ohms Ω Meter then it is relatively easy to understand Ohms Ω in general. 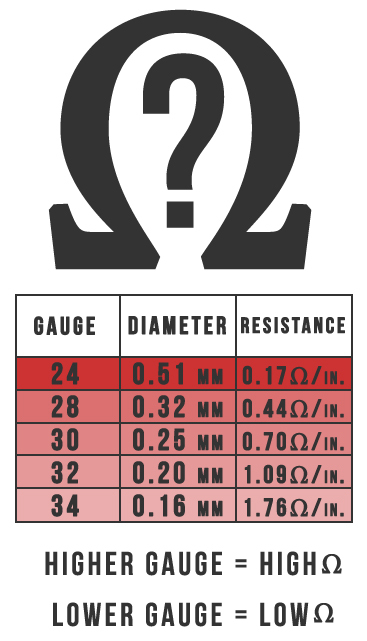 Below is a perfect description of your Ohms Ω outcome when it comes to your Kanthale Wire Gauge, Diameter and Resistance. Most mechanical mods wont come with a battery; you will have to purchase these separately, unless you purchased an all in one mod starter kit. On the off chance that the mod does come with a battery, be sure it comes with a legitimate brand, for example, Sony or eFest Batteries will be a good choice. You also want to verify which mods work best with which batteries by visiting the forums or asking the vape shop you buy it from. This is something that can’t be underestimated. Get a durable and high quality mechanical mod battery! It is not only safer, but it will also fix the issue that lots of people that whine about: that the battery does not fit or does not work well with their mod because its a crappy no-name brand battery, or they’re simply trying to use a battery that doesn’t fit very good in their particular mod setup. So, to solidify the importance again – whatever you do, don’t be cheap when it comes to batteries! This cannot be stated enough. In the end, it’s not worth the savings when you are dealing with your safety. You also should never use old batteries and and or batteries that seem to have any noticeable damage. Additionally you will want to pick the right kind of battery. We recommend that you don’t use unprotected standard lithium-particle (ICR – lithium cobalt oxide) with your mechanical mods, these carry a higher risk of overheating. A high-quality secured ICR battery is a much better choice. Some would even say that IMR (lithium manganese oxide) batteries are even more secure than the ICR because they are less volatile. Just as getting the correct battery/high quality battery for your mechanical mod setup, getting a high quality battery charger is also very critical. Since all battery chargers can differ in quality, you must be careful to get a high quality one from a reputable place. A low quality charger can over-charge your battery, which can increase the chances that it will overheat the battery, possibly leading to explosion. A fully charged IMR battery should be somewhere between 4.15 and 4.20 volts. Much above that (4.25V) and its life will be shortened and instability becomes a concern. Above 4.5v is a recipe for disaster. An IMR battery that is fully charged will usually be in the vicinity of 4.15 and 4.20 volts. Once you start getting anything above that it can become much less safe and stable. Anything above 4.5 volts can really start to become dangerous. A mechanical mod does not have a low voltage cut off like the regulated devices have. What happens with a mechanical mod, is it will drain the battery completely which is not good for lithium ion batteries. This is just yet another reason why multimeters come in handy, because you can measure if they voltage is getting low. Although, with experience, you will start to notice when the voltage is getting low because the vapor production is also noticeably lower. You should begin start to recharge your battery when you notice the vapor production gets lower than normal or when your meter reads the batteries are down to 3.6 volts. Place it the right way: Make sure that the positive and negative ends on your battery are pointed in the right direction. This may be obvious but electrical/ battery polarity is nonetheless an important step to ensure safety. Use one battery: If possible don’t stack batteries. This can cause some safety issues. It is recommended to use only one battery in your mech mod. Remove the battery when not in use: This practice addresses a couple things. For one, it will help keep the functional integrity of your mechanical mod by allowing the springs to stay springy. It will also help prevent the mod from accidents or accidental firing when not in use which can cause the mod to overhead or explode. You should be testing the atomizers / clearomizers regularly so you know the resistance isn’t too low and to prevent against shorts. We don’t recommend sub-ohm vaping because that can become too dangerous. We recommend 1.8 Ohms or above for the resistance, as this can give a higher threshold of safety, though you still always need to be careful as mechanical mods have inherent dangers if not used properly, even with ohms higher than 1.8. To properly test the resistance of your atomizer/ clearo, you want to take your meter and touch the positive prong to the center post (where the electricity flows) and the negative prong to the outer ring of your mod, beside the post. 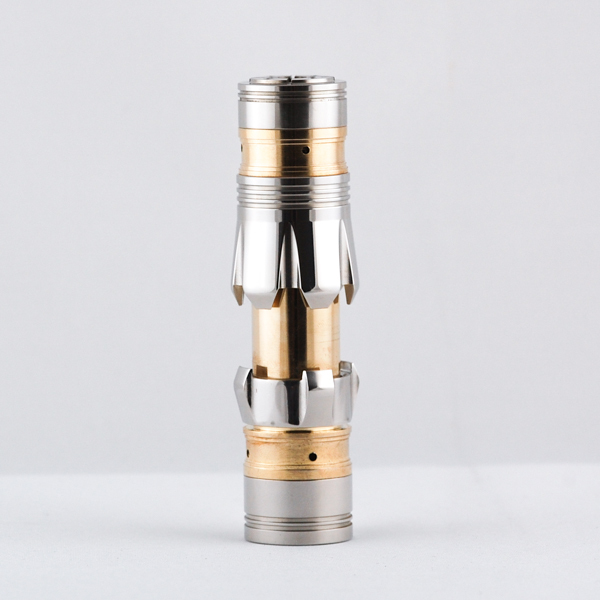 The mechanical mod should be tested to ensure it is not shorting as well. To do this you will want to remove the end cap and the battery. Then, with your multimeter, just touch the positive prong to the (+) pin of the mod and the negative prong to the body of the mod. If you get a reading that differs from the default meter reading, this shows that there is a problem with your mechanical mod and you should not use it. Mechanical mods should always have some sort of vent holes to allow the buildup of gasses to escape just incase there is a situation where your battery overheats. If you don’t have any vent holes, your mod casing has the potential to be very dangerous if it were to overheat. Its almost like holding a pipe bomb, as it is a cylindrical device without any vent holes – something you do not want to vape on a daily basis. Most high quality mech mods these days have some type of locking mechanism to prevent the mod to accidentally fire in your pocket or while holding/ setting on a counter top. Usually it is a cap that spins to lock it, so that the button cannot be pushed anymore. If you do decide to go the mechanical vape mod route, you should get a fuse for the battery, which sits between to the negative side of your battery and your mod. One of the biggest safety concerns of mechanical mods is from a hard short. The fuse will help prevent this by “tripping” if it senses a short in the mod and will break the connection from the battery. This just adds an extra layer of safety to your mech mod setup, but as with anything there is no complete fail safe, just things that reduce risks. It may seem overwhelming with all this information, but the more you do it and learn about it, the less terrifying it all seems. It really does take some extra time to learn about using mechanical mods, to ensure the safety of yourself and of bystanders. If you don’t want to put in the time to learn everything, you should not be using a mechanical mod in the first place. You would be better off getting a starter kit another devices that is set it and forget it that don’t require a lot of effort to start vaping. If this is you, get a regulated device. If however, you enjoy learning and it is becoming a hobby, a mechanical mod might be right for you. Just be sure to be safe and keep learning.